Former Garth Marenghi’s Darkplace star and co-creator Matthew Holness really wants you to know that his his feature debut Possum isn’t funny. In fact, it’s about as far from the very idea of funny as a filmmaker can possibly get. Fans of Darkplace – an 80s genre spoof that’s since become the stuff of cult legend – might think I’m bluffing, and that this hyper-dark, grimy tale of a disgraced children’s entertainer is a double-cross. But it isn’t. It really, really isn’t. 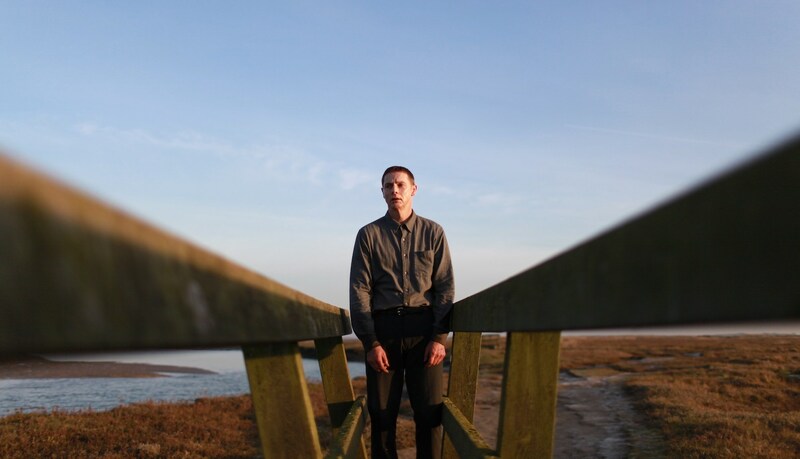 In fact, Possum will, without doubt, be one of the most unsettling films you see all year. Sean Harris stars as the forever bothered Philip, a man plagued by his apparently inescapable connection to the world’s creepiest puppet; the rubber-faced, tentacled nightmare fuel he lovingly dubs Possum. When he returns home to his abusive stepfather (Alun Armstrong) and bids to finally destroy the puppet once and for all, Philip’s tortured past rushes up to meet him, and he quickly finds that in tangling with his inner demons, he’s also opened a door to something far more sinister. It’s not the most informative of plot break-downs, but the truth of it is that Possum doesn’t go to that many places, narratively speaking. It’s a thoroughly grim 85 minutes that tosses and twists its lead every which way you can think, pulling him apart at the seams. But on an action level, it’s little more than Harris chasing his own tail around the Norfolk countryside. Holness is all about the mood here, leaning away from the usual bumps and jumps (though there’s still the occasional shudder) and angling for something that’s much more quietly aggressive, and he succeeds in spades. Possum is nasty to its very core; a film baked in greasy browns and beigey bile that gets the eyes and stomach churning straight from the off. The fact that Under the Shadow’s Kit Fraser is the man behind the camera, and that the whole thing is shot in grained-up 35mm should tell you enough visually, making sure that Harris’s angled dowdiness rules every frame that it’s in. Cult outfit Radiophonic Workshop marry it all together with an eerie, static-scraping score that really dials up the blood-pressure too, making Holness’s film not an all-out attack on the senses, but more of a carefully-considered, almost surgical, slice right under the fingernails. It’s a small film, with very modest ambitions that stands at the very opposite end of the spectrum to the crowd-pleasing genre fare FrightFest usually brings in. But in bucking trend and squirrelling deep into the very tonal essentials of horror, Holness has made something seriously uncomfortable to watch. A genuinely nasty piece of work that deserves all of the praise for being so. Possum was screened as part of Arrow Video FrightFest 2018 and will be released in the UK October 2018.